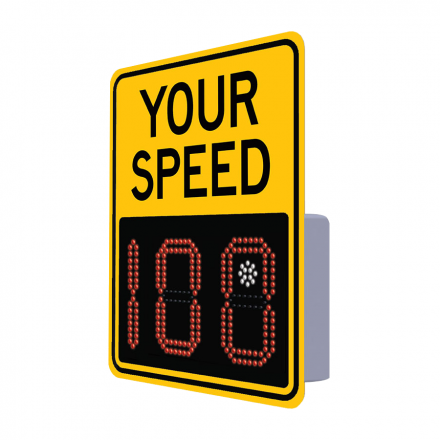 The SafePace Evolution 12 offers the cost benefit and compact footprint of an entry-level sign with MUTCD approved 12” digits. With bright 3 digit speed display, it also offers speed activated digit color changes to alert speeders. First year of SafePace Cloud service included!